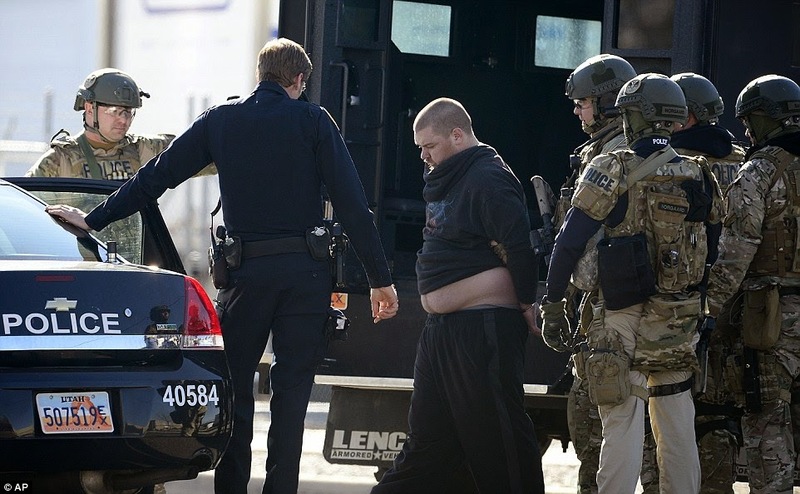 Responding to a call about a bank robbery by a man wearing a motorcycle helmet with a cloth draped over it and who had threatened a teller with a gun or an explosive device, Salt Lake City Police descended upon the scene with a show of force. When they observed Joshua in the area, fitting the description to a tee, they command him to stop. When he didn't cops tackled him to the ground and efforted against Silva's struggling to make an arrest, but during this process they observed that Silva was wearing what appeared to be an explosive vest. 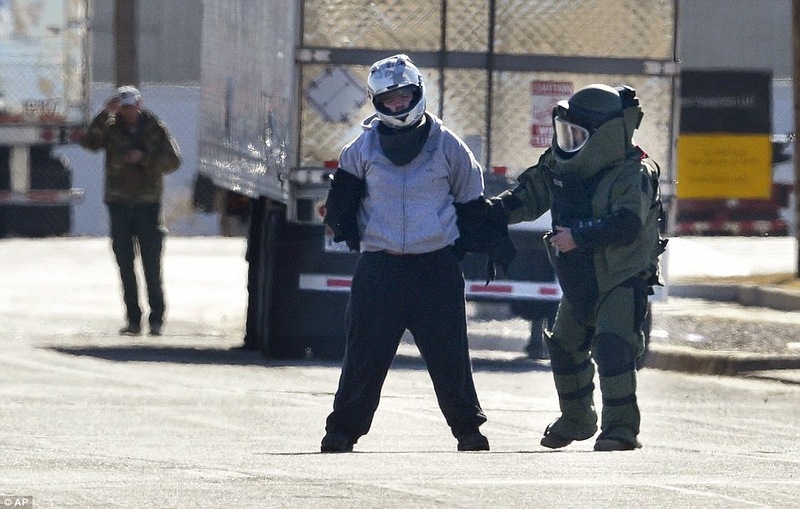 Upon seeing exposed wires coming out of the vest, and armed with the information from the bank teller, the officers backed off, instructed him to stay still and called in the bomb squad. 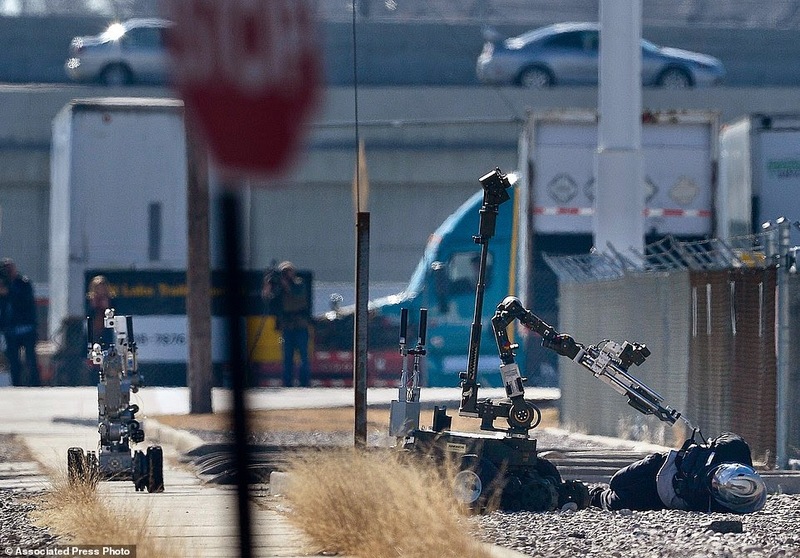 As Silva lay on the ground a robot was sent to conduct the search. 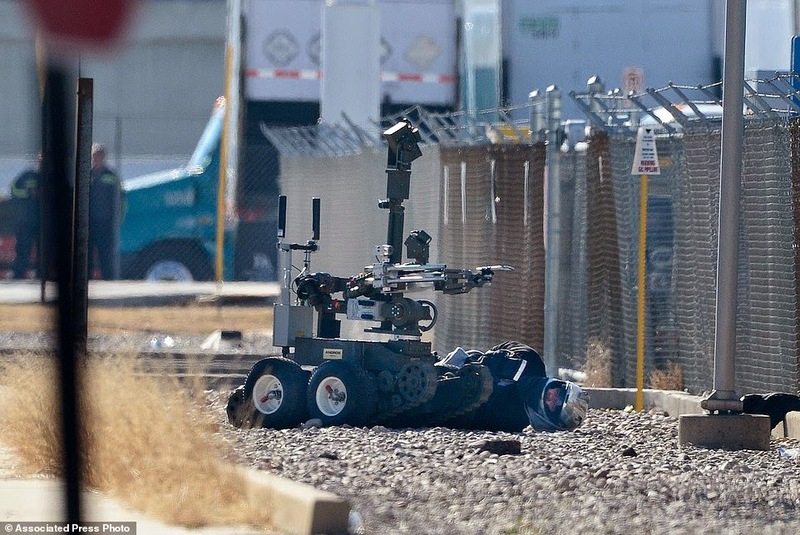 Bomb Squad Officers were able to see and hear everything, as well as to communicate with Silva through the robot as it inspected the vest / device so as to determine what kind of threat it posed. Being extra careful to avoid calamity police snipers were on top of a nearby building watching Silva in the event that he attempted to stand up and run. In addition a two (2) block area was evacuated while Silva laid prostrate on the ground for approximately two (2) hours, allowing both the robot and it's operators to do their job. 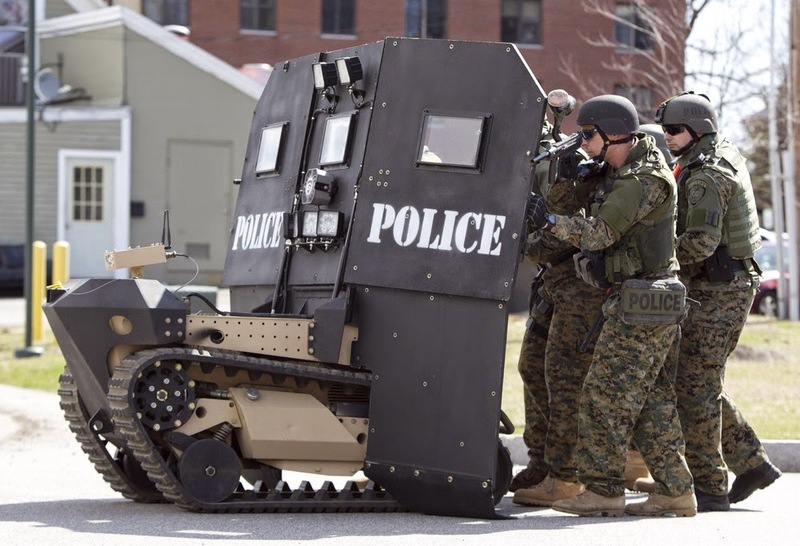 The robot ultimately removed the vest from Silva and it remained on the ground as Silva followed instructions from cops to sit up, stand and then walk toward a bomb technician donning a protective suit who carefully patted him down. 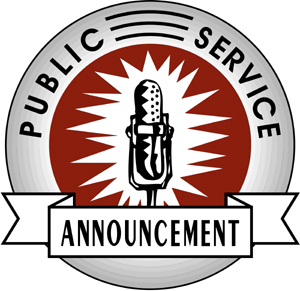 Silva was taken into custody without further incident and his vest was then determined to have been a hoax (not a real bomb). 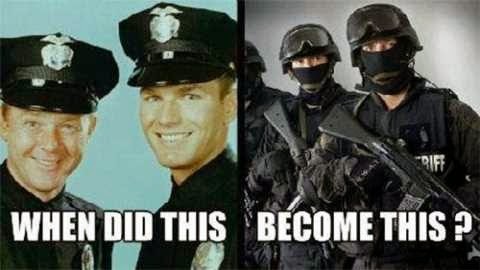 Remember that in the Andy Griffith days the "bad guys" looked, acted and presented a similarly different, not to fail to mention as significantly less serious threat to society than they do today. In this case Silva's vest was faux, but it didn't have to be, and for many, like Timothy McVeigh for example, the threat is very real. 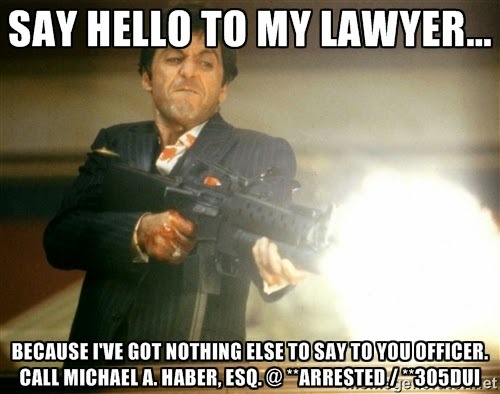 With this constant and very real danger - and noting that I am 1,000% committed to both fighting against and deterring any and all official misconduct - I, personally, as both a citizen and a parent, want those charged with my safety and protection to have tools sufficient to do the job.